The Jays went into Fenway Park with a mission, destroying the Red Sox 14-1, coincidentally the same score that the Blue Jays lost by in the first game after the All-Star break. 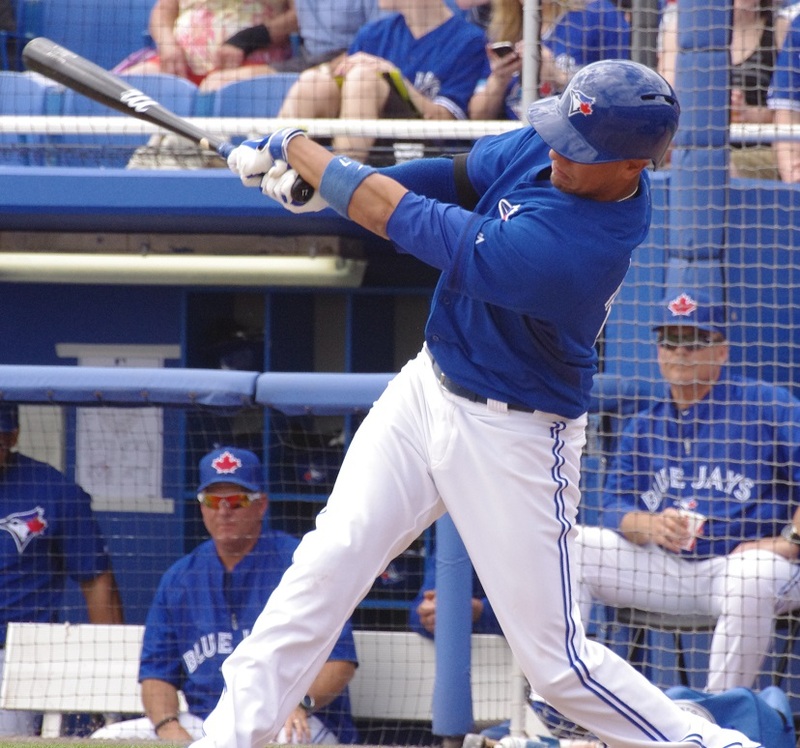 In addition to a 10-strikeout performance from R.A. Dickey, Melky Cabrera hit two home runs and Ryan Goins had four hits. The Blue Jays also announced a trade, sending Liam Hendriks and Erik Kratz to Kansas City for infielder Danny Valencia. Radhames Liz allowed two runs over five innings but the bullpen was outstanding, closing the door on the Iron Pigs over the last four. Mike Zagurski faced the minimum, striking out four in two innings while Sergio Santos struck out a pair in his inning of work. Kevin Pillar launched his fifth home run of the season, going 2/4 and driving in two runs while Ryan Schimpf and Jonathan Diaz drove in the other runs. Roster Notes: In addition to two Bisons being traded, Sean Nolin was assigned to Buffalo after completing his rehab assignment and Austin Bibens-Dirkx was sent to New Hampshire (although I wouldn’t rule out him coming back thanks to trading away Liam Hendriks). The Fisher Cats continue their good run, getting Sean Ochinko‘s first home run of the year as part of a 2/4 game. Cory Aldridge and Jorge Flores also had a pair of hits each while Jon Berti was 1/3 with a walk, an RBI and two stolen bases. Dalton Pompey was not in the lineup. Kendall Graveman was promoted from Dunedin and was excellent in his first start with New Hampshire, going six innings and allowing one run on eight hits and two walks with four strikeouts. 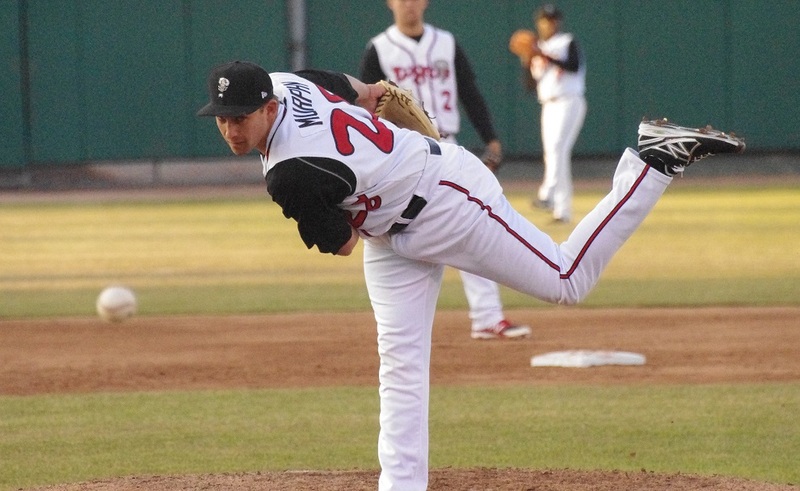 Blake McFarland went three hitless innings, striking out five for the save. Roster Notes: To make room for Graveman, Matt Boyd was sent back to Dunedin. 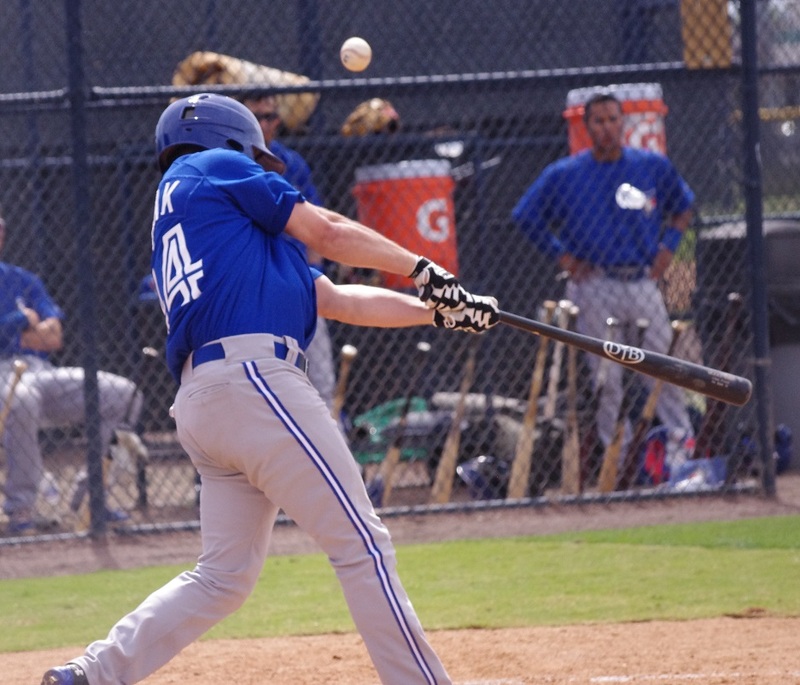 Pierce Rankin joined him in Dunedin and Jack Murphy was placed on the DL retroactive to July 24. Austin Bibens-Dirkx came down from Buffalo. 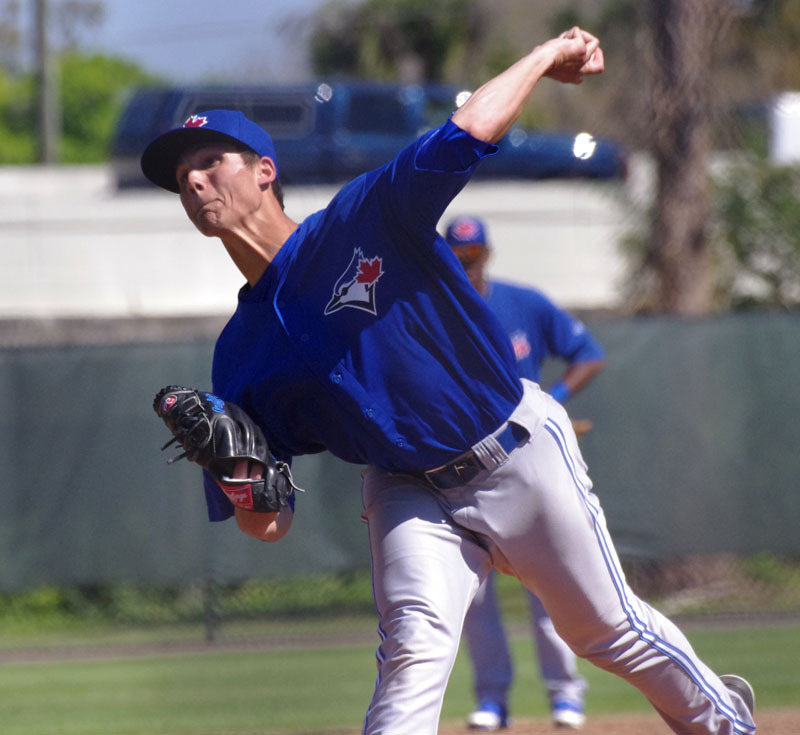 It was the Dunedin Blue Jays’ turn to go extra innings yesterday as the Jays and the St. Lucie Mets battled for 12 innings before the Mets came out on top. Kevin Patterson had another great game for the D-Jays, going 3/6 with two doubles and an RBI. Marcus Knecht was 2/5 wtih a double and a walk and both Ian Parmley and Nick Baligod were on base three times each with a hit and two walks. Jesse Hernandez came out after four batters in the fifth, giving up four runs on seven hits. Griffin Murphy threw three hitless innings, walking two and striking out one before giving way to Justin Jackson who pitched a perfect eighth. Arik Sikula allowed two runs and Chad Girodo went two scoreless innings before Tony Davis allowed an unearned run to end the game. Roster Notes: Sean Nolin was sent back to Buffalo, Matt Boyd and Pierce Rankin were demoted to Dunedin and Dwight Smith, Jr. was placed on the 7-day DL with Kendall Graveman moving up to New Hampshire. After 29 innings of baseball over their last two games, the Lansing Lugnuts (and their pitching staff) were glad to get a nine-inning victory over the Burlington Bees. Brent Powers allowed two runs in six innings and Alonzo Gonzalez picked up a three-inning save, throwing three scoreless innings and scattering five hits. Mitch Nay had two hits (a single and a double) and drove in four RBI while Chaz Frank was 2/5 with a triple, two runs scored and three RBI. Derrick Loveless also had a pair of hits and a walk. The Canadians fell yet again to the Spokane Indians with Chase Mallard getting hit hard for four runs on eight hits in 4 1/3 innings. Andrew Case went 1 2/3 innings without allowing a hit and striking out four while Kamakani Usui allowed two runs over his final two innings of the game Tim Locastro, selected to the All-Star team, was 2/3 with two doubles and a stolen base. Ryan Borucki was strong for the Blue Jays, going four innings of scoreless ball, giving up three hits and two walks. Alberto Guzman was a little less lucky, giving up one hit but it was a home run and he was eventually charged with two runs in three innings. Lydell Moseby had two hits and a walk for the Blue Jays but also made an error while Dan Jansen was 1/3 with a double. Roster Notes: OF Sean Hurley was sent back down to the Bluefield Blue Jays from the Vancouver Canadians. The Blue Jays’ pitching was excellent, allowing only five hits to the Yankees. Daniel Rodriguez had his best outing yet, going five innings and giving up just four hits with no walks and five strikeouts. Jake Brentz was also excellent, throwing four innings and allowing just one hit and one walk but didn’t strike out anyone. Juan Tejada was 3/4 with two doubles and Freddy Rodriguez drove in two runs with a double in four at bats. The Bisons host the Indianapolis Indians with Sean Nolin making his first start since going out with an injury in June. This game will be on MiLB TV at 7:05 PM. Daniel Norris goes for the Fisher Cats against an unannounced Binghamton Mets starter at 6:35 PM. Matt Boyd will start back in Dunedin for the Blue Jays as they take on the St. Lucie Mets at 6:30 PM. The Lugnuts come home to host the Dayton Dragons with Chase De Jong on the hill to face Dan Langfield at 7:05 PM. Vancouver sends Daniel Lietz (1-0, 1.80 ERA) to the hill against the Spokane Indians at 9:30 PM ET. The Bluefield Blue Jays continue their series with the Johnson City Cardinals with an unannounced starter on the mound at 7:00 PM.